Mumford & Sons will embark on an extensive 60-date worldwide arena tour this fall featuring a groundbreaking new in-the-round stage design. Kicking off November 16 in Dublin, the tour will span throughout next spring and includes fall North American stops including the XL Center in Hartford, CT on Thursday, February 28. 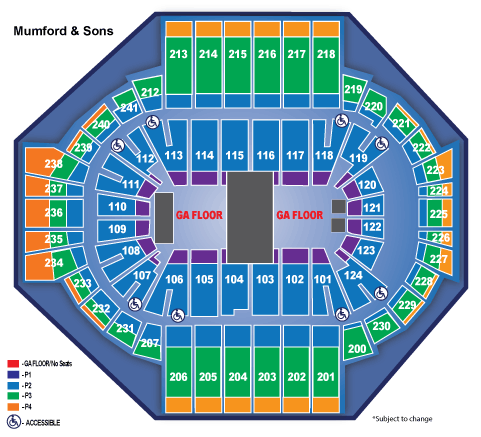 Tickets go on sale Friday, October 12 at 10 AM at XLCenter.com, mumfordandsons.com and by calling 877-522-8499. Tickets will be available exclusively through www.xlcenter.com online retail channels. Tickets will not be available at the XL Center box office. The ticket limit is 4 and any orders over the 4 ticket limit will be cancelled. Tickets will only be delivered as Digital Tickets, delivered to your mobile device. You must present your Digital Tickets on your mobile device for entry. Paper tickets will not be accepted. Click here for more information on Platinum Seats.